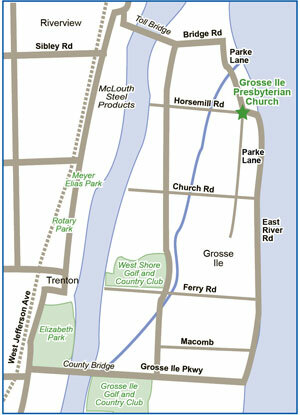 We are located on the north end of the island of Grosse Ile, at the corner of Horsemill Road and Parke Lane. Continue east through the flashing traffic light on Bridge Road to the T intersection with Parke Lane. Turn right and go south to Horsemill Road. Grosse Ile Presbyterian Church is on the southwest corner of Horsemill and Parke Lane. Continue east on Grosse Ile Parkway, through the traffic light to the T intersection with East River Road. Turn left on East River Road and go north, following East River as it curves west and turns into Horsemill Road. Grosse Ile Presbyterian Church is on the southwest corner of Horsemill and Parke Lane. 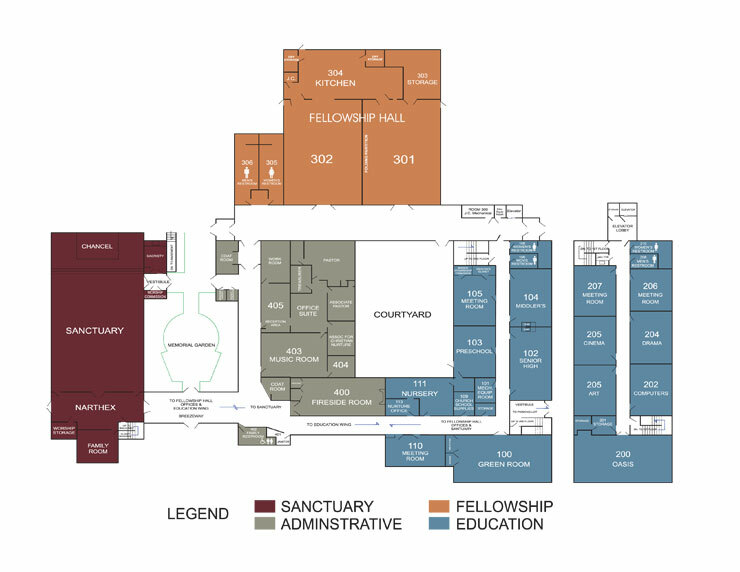 Click on link, Building Map, for a printable copy of the building map. Handicapped parking is adjacent to the north, east and south of the Church building. Elevator access to the second level is located on the southwest hallway. Restrooms are located on both levels of the building.